The main topic of the summer course is a critical approach to typography in the digital age. Whereas in pre-digital times the métier of the typographer was an exclusive one (further back in history often combined with that of the typesetter), today everyone who uses a computer is practically both typesetter and typographer. However, selecting a typeface from a pull-down menu and typing on a keyboard does not require special skills, nor any insight in typography. After all, technical innovations build into digital typefaces, such as Open Type Layout features, make complex typographical issues fairly simple. Furthermore, obvious conventions are more or less automatically maintained, because the modern typesetters will mostly base their typographical decisions on what is common. For example, for text purposes Times New Roman will undoubtedly be more widely used than Comic Sans. The legibility aspect seems easy to control by selecting type that is considered commonplace, even without any knowledge what legibility exactly comprises. At the same time a lot of detailed typographical knowhow has disappeared, due to the fact that typography is no a specialism anymore. After all, the métier of the typographer has become part of that of the graphic designer, and graphic design covers a large area nowadays: from illustration to video, from type to 3D-objects. If certain typographical aspects are not automatically handled by an applied tool, irrespective of whether this is part of the MS Office software or the Adobe Creative Suite, and the end user is not aware of this, consequently it also will not be missed. After all, one cannot see more than one knows. For example, the even distribution of space between capitals is something that requires a trained eye of the typographer. This is usually not handled automatically by the font, because the spacing of capitals is based on the patterning of the lowercase. To understand the necessity of specialist capital spacing, one has to understand the structure of capitals and the reason why capitals are fitted differently. Therefore, one needs to have knowledge of typographical conventions and historical technical developments, even if one would like to dismiss the necessity of applying typographical details like capital spacing. One could argue that if one does not notice the lack of refinement, there is also no necessity to apply refinement and if the enduser lacks a trained eye, why would it be necessary to apply typographical details? In addition, if one declares that a text is very legible, which is easily done even by professional graphic designers, this is not something that normally requires proof: if one can read it, it is considered legible. However, the fact that one is not aware of the existence of aspects that could enhance the quality of typography and even improve the legibility, does not by definition imply that one should ignore these aspects. Hence, the main topic of the course is a critical approach of typography in the digital age. 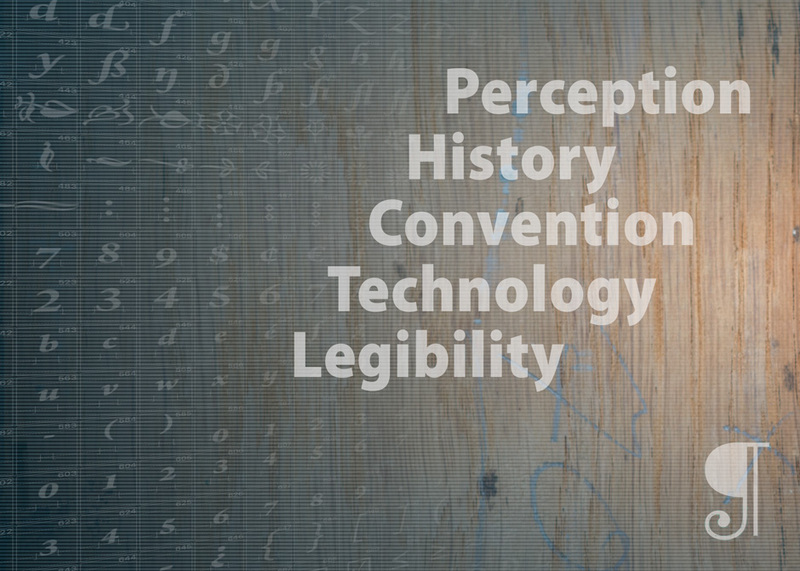 The keywords are: ‘Perception’, ‘History’, ‘Convention’, ‘Technology’, and ‘Legibility’.